With their authentic Japanese feel, the set of 4 ProCook Japanese knives include 18cm vegetable slicer, 16.5cm chefs, 16.5cm santoku and 20.5cm carving knives so you can become a true sushi chef in no time! Ideal as a gift for a friend, each blade in the range benefits from integral holes to allow for easy food release. The blades are all made from the highest quality stainless steel offering fantastic chopping, slicing and dicing performance and are finished beautifully with a carved wooden handle formed to fit comfortably in your hand. 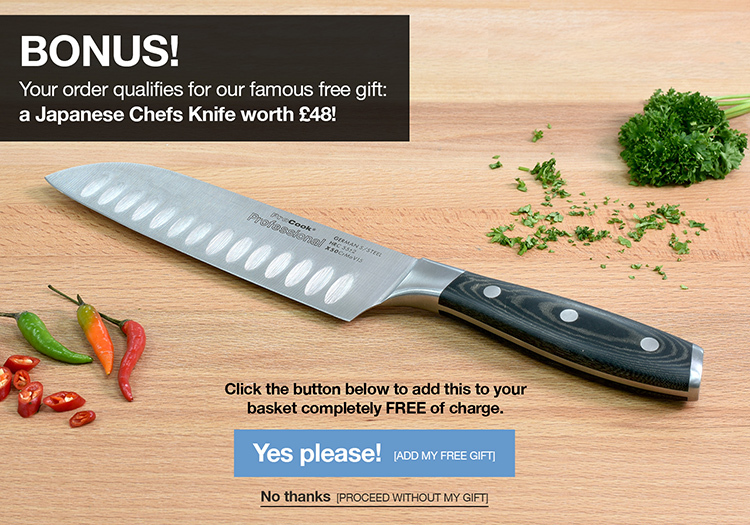 With a high chrome content, these knives won't discolour easily either. Due to the nature of the wooden handles, we do not recommend dishwasher use.